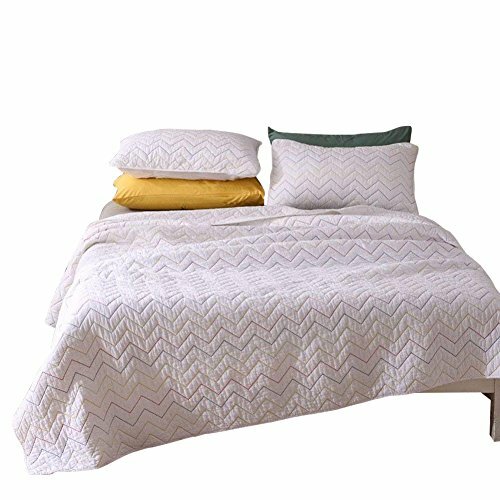 Color:White | Size:King RoyCroft Prada Portuguese Matelasse Bedspread/Sham Set-The Matelasse quilted raised paisley design gives the appearance and feel of a fine hand crafted vintage bedspread. 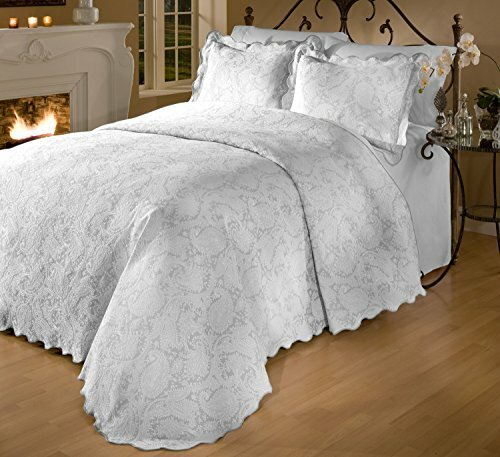 The amazing charm and appeal is sure to add sophistication to any bedroom decor. Constructed from 80-percent cotton/20-percent polyester creates a bedspread/sham that has a beautiful sheen, is smooth to the touch and has a wonderful draping effect. This bedspread/sham set is meant for year round use. 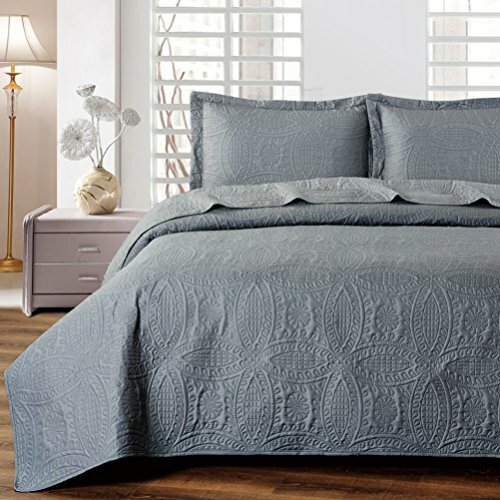 The unique scalloped borders on three sides of the bedspread add visual interest and character. Shams have scalloped borders on all four sides and include envelope closures to keep pillows hidden and secure. 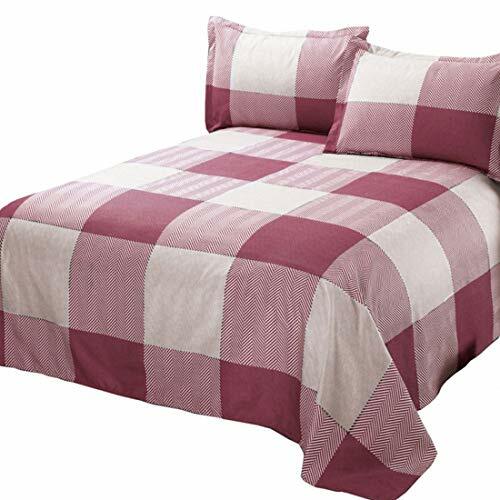 King size bedspread measures 120-by-120-Inch and includes two 20-by-36-Inch shams. Machine wash cold, tumble-dry low.